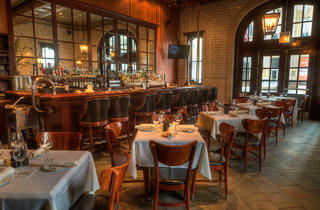 Some believe the privilege of dining in a building rich with history is worth any price. Despite this 1904 fire station location, we still don’t understand why the cedar-planked Dover sole costs $45.95. The rest of the menu is fair enough: Baked Delaware oysters with applewood-smoked bacon are heavenly, pot roast falls apart with the touch of a fork, and rib eye is topped with a luscious mixture of shallots and blue cheese. El stop: Green, Orange, Red to Roosevelt. Bus: 1, 3, 4, 62. Beyond thrilled that this landmark has reopened!!! 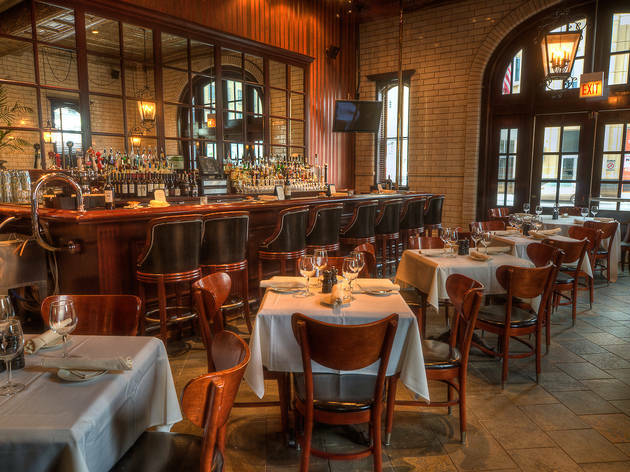 This classic steakhouse in a legendary building has been a South Loop staple for years and when they had their fire it was devastating. Fortunately, not only were they able to restore the place, but they added on to the back of it as well.